The shelf life of Aggrastat® is 36 months. No refrigeration is required. Do not freeze. Protect from light during storage. 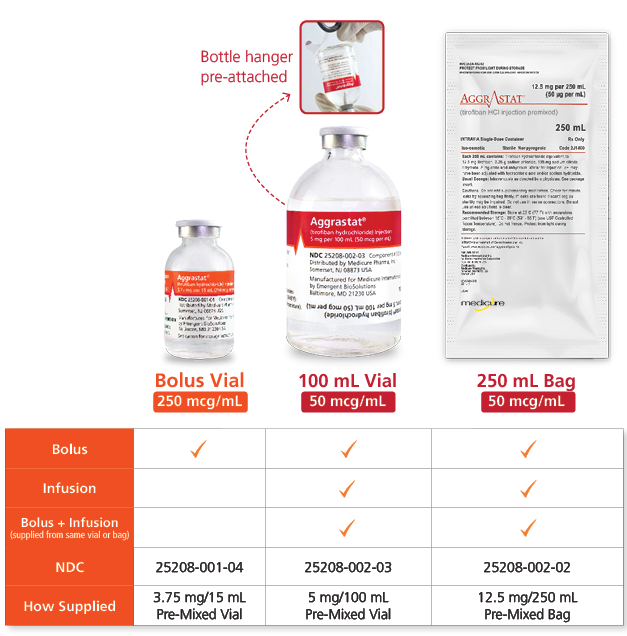 Aggrastat® is now available as a concentrated, pre-mixed bolus vial. *Followed by maintenance infusion. Infusion is reduced by 50% for patients with a creatinine clearance of <60 mL/min. Please see full prescribing information. Save up to 50% on per-patient drug acquisition costs with Aggrastat®.